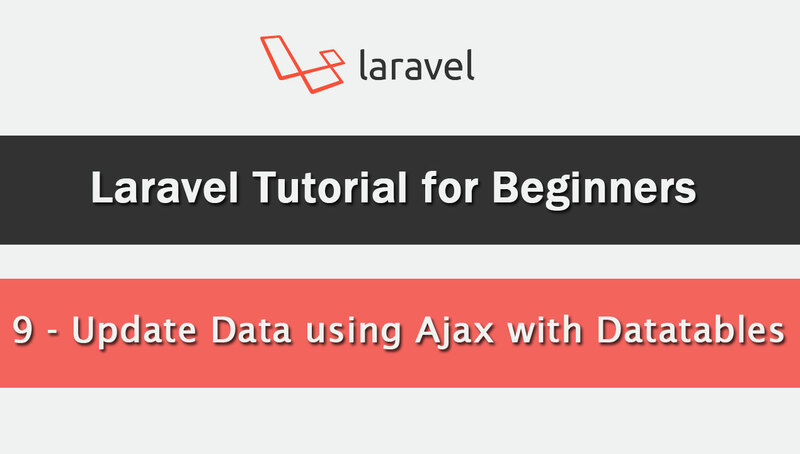 This next post on Laravel Ajax Crud with Jquery Datatables plugin and in this post we have discuss how can we update or edit or change mysql table records in Laravel by using Ajax with Bootstrap modal and JQuery Datatables plugin. In our previous post we have seen how to Insert or Add new data into Mysql table by using Ajax in Laravel application. 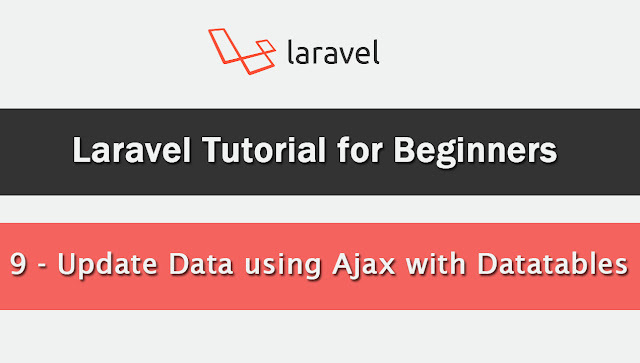 So, Once we have Insert data into table then after suppose we want to make necessary changes in that data, so we have make tutorial for beginners who want to learn Ajax Live data update or Edit in Laravel with Datatables. So first we have to go to app/Http/Controllers/AjaxdataController.php file and in that first we have to define new column in datatables in getdata() method. After define new action column in controller file now we have also define new column in ajaxdata.blade.php view file and in that file we have also write jquery code for fetch particular student data and display under modal form field. Then after we have again go to app/Http/Controllers/AjaxdataController.php file and in that we have add one more fetchdata() method for fetch particular student data and this method will send data to ajax request in json format. So, this method will send particular student data to ajax request and that data will display under form field. And when we have submit that fillatable form then it will send ajax request to postdata() method of AjaxdataControllers.php. Here we have use same method for insert and update of data. This method will update particular student data. Lastly we want to set route for this new fetchdata() method. So for this we have to go to routes/web.php file. So, This all code we have used for Update or Edit or change Mysql table data by using Ajax in Laravel Application with Datatables. For better understanding please view video tutorial of this post.